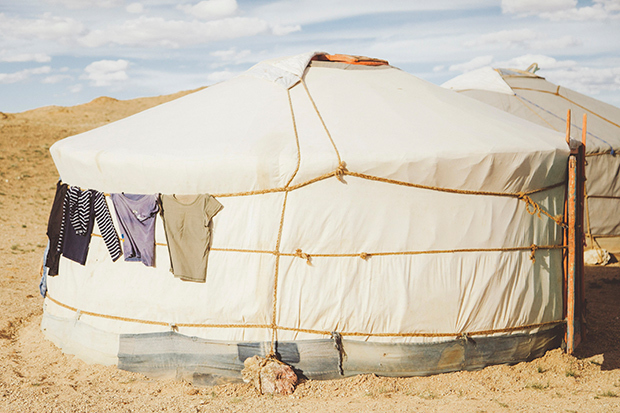 In the years leading up to her first visit to Mongolia, Los Angeles-based Marianna Jamadi itched to experience the vast terrain and to trace the lives of the traditional nomads that move across it. 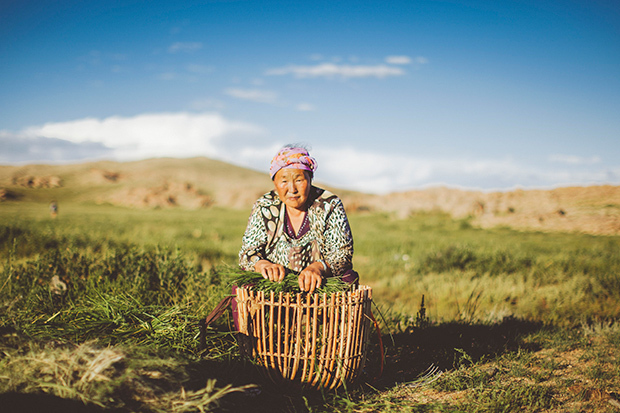 She finally stepped foot on the Gobi Desert as part of a tour; over the course of eight days, she stayed with eight families, living in the wood and felt gers they had erected across the sprawling, empty land. 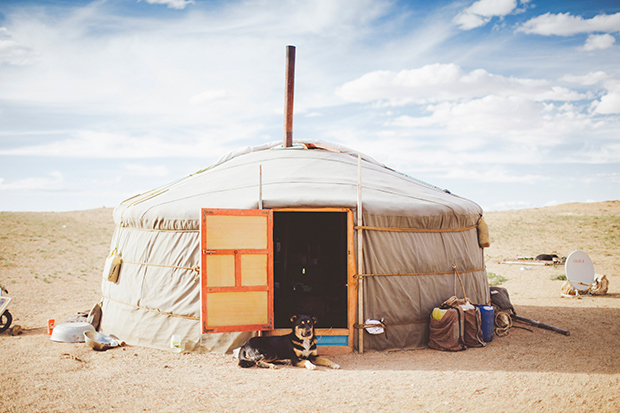 The lives of the desert nomads, explains Jamadi, is dictated by the needs of the family and its animals. 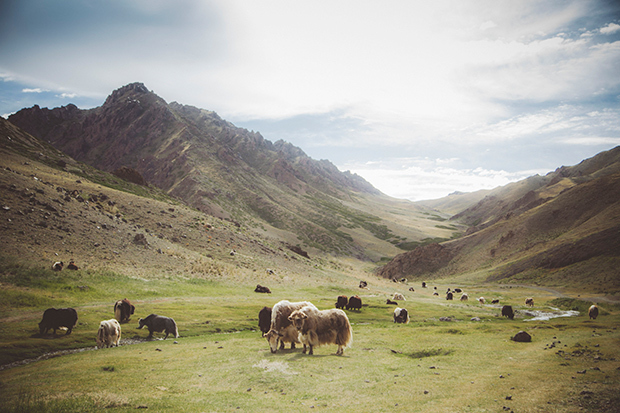 Their days are simple but also demanding, with herds of yaks, goats, horses, and camels requiring devoted care. 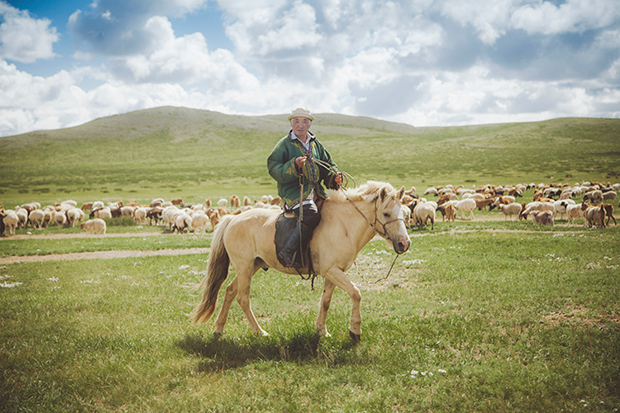 The animals in turn provide for and nourish the people, providing them with food—the nomad’s diet is based largely on milk— and income. 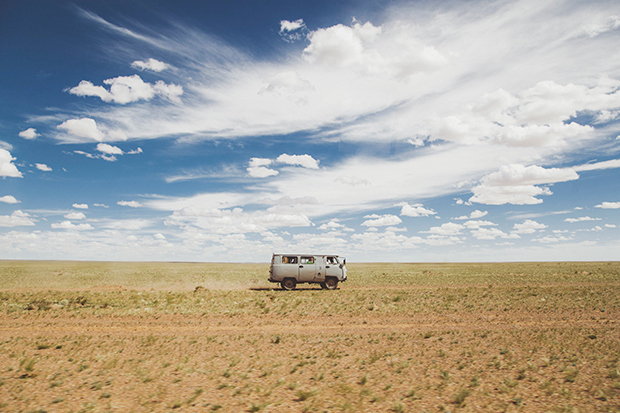 The Mongolian landscape enveloped the photographer, astounding her for its vastness and vibrancy. The people travel with their horses, who, like the other domestic creatures, are allowed space and freedom to wander and graze. Although they are in fact tame, Jamadi compares their lives and movements to those of wild herds. 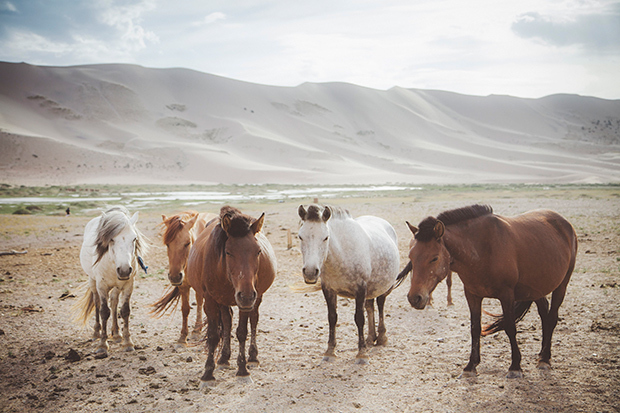 The equines, much like the rolling landscape on which they roam, are utterly enchanting, bordering on the otherworldly. “They are lovely creatures,” writes Jamadi. 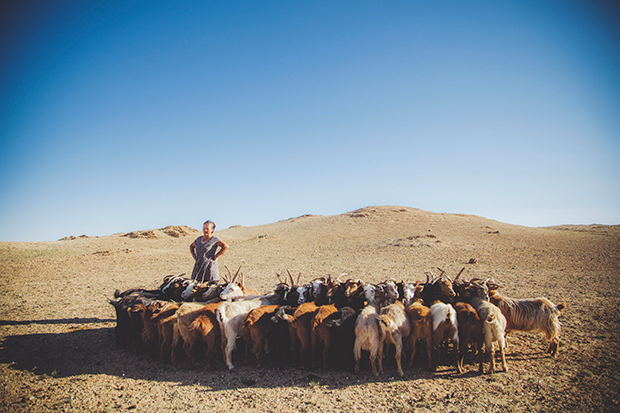 From her trip to Mongolia, Jamadi took with her a deeply felt admiration for both the desert and its people, their hard work and dedication to the land. “My eyes could not believe what they were seeing,” she admits. Luckily, her camera captured it all.